A Generation of Leaves is my second novel. It started out as a short story written in the summer of 2008 in the small French Acadian fishing village of Middle East Pubnico, Nova Scotia, my father’s birthplace. Five years and much research, travel and rewrites later, it is here, a grown up novel filled with characters I have come to know. I hope in this year of 2014, to follow its progress through these entries. I look forward to reading this, your second novel, on our porch hammock. Will you be on Peaks this summer so I could get a signed copy? What a labor of love this no doubt was. Look forward to seeing you. Gives glory to family, friends, and endurance. Truly a glorious book. Your eye for scenes and details are always rewarding. I especially liked the historical aspects and the Nova Scotia depiction. Thank you. Thoroughly enjoyed your book, Nicole. Thank you so much for sending it to me. I cherish it. Your research into World War 1 is VERY impressive! I will send you an order and a check for four books in the mail. Hope you can send them to your cousins, who I will name, individually. Can’t wait to read it. Sending my order this week. 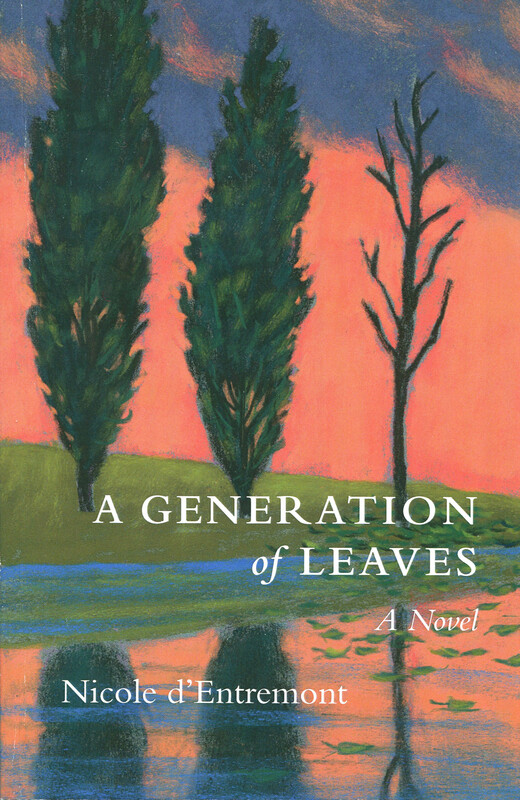 I’ve tried to purchase “A Generation of Leaves” by Nicole d’Entremont via the internet and I’ve been unsuccessful. Where or how can I buy a copy.